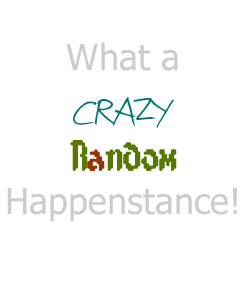 Coming updates : What a Crazy, Random Happenstance! I do have some updates coming up but it has been super crazy around here. I hope to get them up today, if not it will be later tonight. Thanks for stopping by!